For all of you tea drinkers out there, this is for you! My grandma and I do this every year when I go up to stay with her in Michigan! It is something that I always look forward to not only because it is fun to do, but the taste is so strong! It leaves your taste buds singing! Fill up a large pitcher that has a lid to the top water. Add in 6-8 tea bags of your choice. Set out in the sun for up to 4 hours or once the tea has a robust color. Serve with lemon and/or honey over ice for a refreshing drink over summer. Summer is pretty much here, and I am eager to share some new ideas for you to stay healthy and fit this Summer! 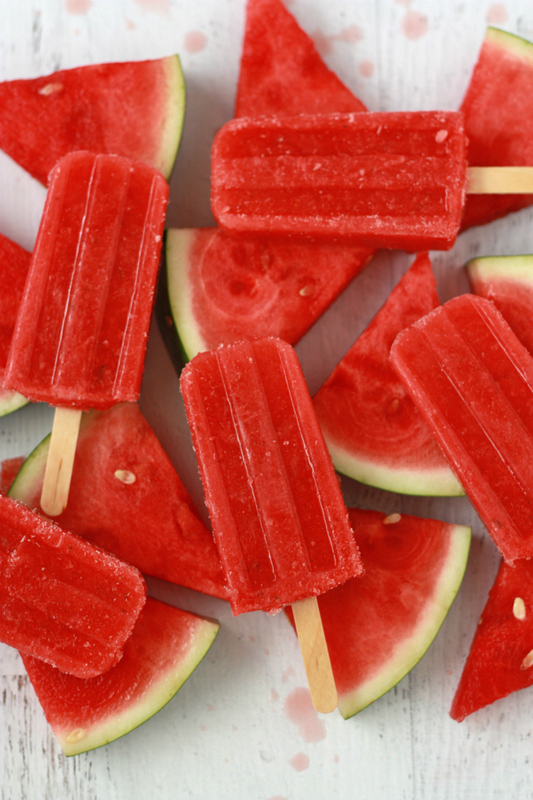 Today what I have for you are, Watermelon Popsicles! Watermelon screams summer and is packed with antioxidants, vitamins, and is actually about 90% water! What a tasty way to stay hydrated in the Texas heat! Directions: Blend all of the ingredients together in a food processor or blender, until it is smooth. Pour into Popsicle containers and let them sit in the freezer for 4 hours before eating. Enjoy!